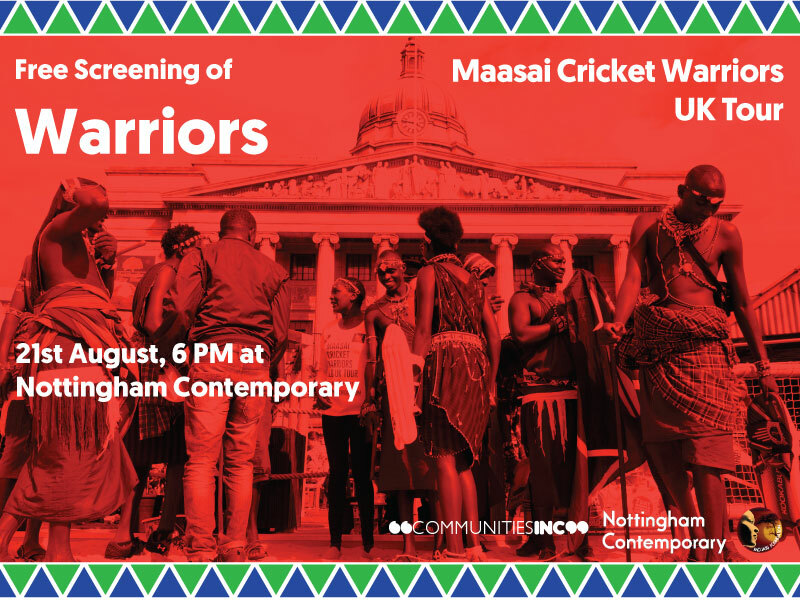 As a part of our day with the Maasai Cricket Warriors, we invite you to join us and Nottingham Contemporary for the screening of an acclaimed film Warriors. This documentary follows Maasai Cricket Warriors on their journey to England, a birthplace of cricket, to compete in the 2013 Last Man Stands world championship. It also shows their passion and commitment to ending FGM and other social issues faced by their community. Film will be followed by the panel discussion with the Maasai Cricket Warriors.